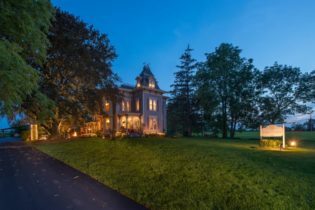 The historic luxury 1840 Inn On the Main is a romantic Empire Victorian home located in Canandaigua, part of the Finger Lakes region of Upstate New York. Situated in the Historic District, the inn is located near an array of shops, boutiques, art galleries, historic sites, & dining options. The New York Wine and Culinary Center is closeby for culinary classes & tastings. Canandaigua Lake is just 1 mile away, offering a beach, kayaking, boating, fishing, or just lounging. 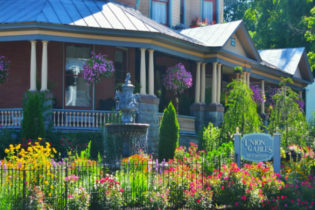 Welcome luxury at historic Inn on the Main in Canandaigua, NY. Built in 1840 this Victorian inn provides discriminating travelers with the convenieces of today while also providing a glimpse of the past. Noted for outstanding hospitality and cleanliness, as noted on Tripadvisor. For a romantic encounter, a girls getaway, or relaxing escape to explore the Finger Lakes region, this Inn has it all. 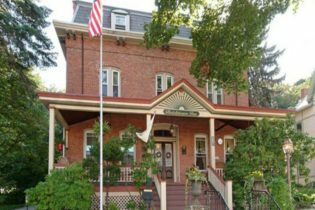 Situated in the Historic District, the inn is just a stroll away from a variety of shops, restaurants and historic homes and sites, as well as Canandaigua Lake. The spacious five guest rooms and suites are each uniquely decorated with plush bedding and antique furnishings. CHECK OUR WEBSITE FOR GREAT PACKAGES! Housed in a classic 19th-century brownstone on an inviting, residential street near Central Park, shopping and museums the 1871 House offers fully furnished extended stay accommodations. Fully Furnished Extended-Stay Accommodations situated in the Lenox Hill neighborhood of the Upper East Side and convenient to East Midtown. 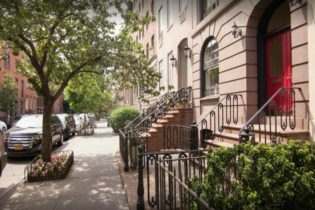 Nestled among beautiful townhouses and other historic buildings between Park and Lexington Avenues, 1871 House offers elegant apartment-style accommodations in the heart of NYC, a couple of blocks from Central Park, Madison Avenue shopping and Manhattan’s finest restaurants and cafes. 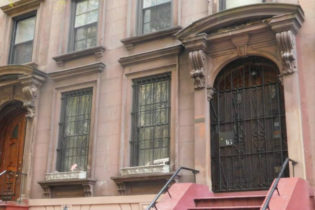 The spacious apartment-style suites are situated within a 5-story classic 1870’s era brownstone on a tree-lined street. All apartments are offered on an extended stay basis only. A Garden in Chelsea is a studio apartment rental in the vibrant neighborhood of Chelsea in Manhattan, New York City. The 1859 brownstone is nestled on a quiet, tree-lined street, and has its own private garden. This is a wonderful opportunity to experience New York like a local. Forget about impersonal hotels - book A Garden in Chelsea today! 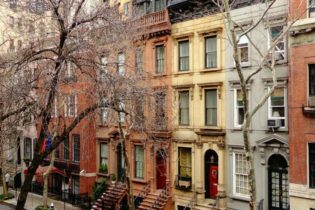 Our lovely 1859 Italianate brownstone is in the middle of one of the most beautiful landmark blocks in the historic Chelsea section of New York City. Here you’ll find an oasis of peace and quiet in your own fully-equipped studio apartment. It is in sharp contrast to the sometimes circus-like atmosphere of many large midtown hotels. 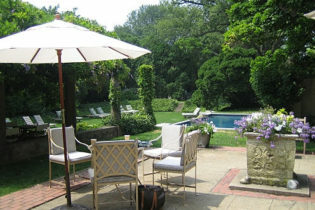 A Romantic Eclectic Bed and Breakfast offering Spa Services on New York Long Island's North Fork Wine country. Award winning breakfasts and aromatherapy baths. Special Packages including winery tours and couples massages. 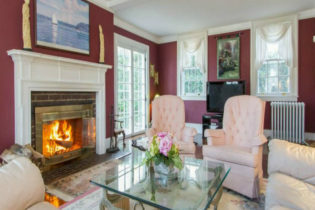 Arbor View House Bed & Breakfast welcomes you…This Romantic Elegant Victorian B&B on Long Island in New York’s North Fork Wine Country offers Spa Services, Romantic getaways, Wedding services, and accommodations for Anniversaries, Retreats, Reunions and Business Travelers. Join us in an environment that has been developed to take you back to another time and place while you renew your body, mind and spirit. The Asa Ransom House is a romantic Bed & Breakfast that exudes historical charm in the intimate village of Clarence, New York. Built in 1853, the inn offers 6 lovely guestrooms and 4 luxurious suites, all with private baths. The inn is secluded, but in a prime location - 15 minutes from Buffalo Niagara International Airport, 25 minutes to Buffalo, and 40 minutes to the world-famous Niagara Falls. We also have an on-site restaurant that uses herbs from our organic garden. 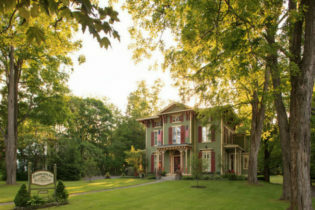 Treat yourself to a pampered stay at the charming Asa Ransom House in Clarence, NY. This 19th-century inn is an easy drive from the many activities and attractions of Buffalo and Niagara Falls. The inn houses a restaurant, herb garden, gift shop, and library for guests to enjoy during their stay. Each morning enjoy a three-course country breakfast in the quaint dining room. Partake in an exquisite afternoon tea with dainty sandwiches and desserts. Our on-site restaurant is open to the public, and uses herbs from our organic garden to create award-winning dishes. Couples, business travelers, and small groups will enjoy the luxurious accommodations at the Asa Ransom House. Guestrooms and event facilities have distinctive decor featuring period furnishings and antiques. Reader’s Choice Awards for: #1 Bed & Breakfast, Most Historical Charm, Most Romantic Setting. 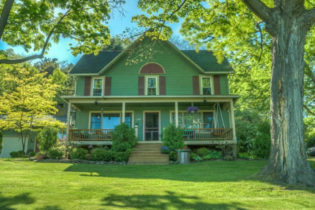 Charming Lake Erie bed and breakfast in the heart of wine country. Stunning lake views, gourmet breakfasts, and beautiful rooms. Come celebrate the seasons at our Lake Erie bed and breakfast! 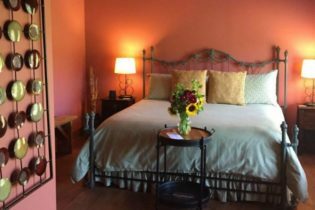 Barcelona Lakeside Bed and Breakfast overlooks stunning Lake Erie in Westfield, NY, and offers guests a welcoming place for romantic getaways, small group trips, or intimate celebrations. Guest at our Lake Erie wine country inn will enjoy our relaxed, comfortable style and exceptional service. Each morning you will be treated to a gourmet breakfast on our patio or cozy dining room, as well as fresh baked treats in the afternoon. Our sunny and comfortable guestrooms have been tastefully decorated, and offer modern amenities that today’s travelers expect, including private baths, WiFi internet, and flat screen TVs. Enjoy walking across to Barcelona Beach to enjoy an afternoon picnic, taking pictures of the Barcelona lighthouse, or enjoy the sunset from our lakeview patio and fire-pit. 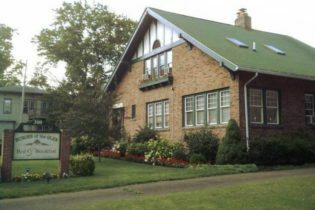 Barcelona Lakeside Bed and Breakfast is set in the heart of Chautauqua County, which offers a myriad of activities for every season. The famous Chautauqua Institution is a short 15-minute drive and offers a variety of cultural events during their nine-week summer season. Enjoy exploring our vibrant wine country year-round with 25+ wineries located within 20 miles in either direction. Weekend warriors will love the numerous Rails to Trails sites nearby, offering miles of hiking, biking, cross-country skiing or snowmobiling. The Bed and Breakfast at Oliver Phelps is an elegant B&B in the heart of the Upstate New York wine country and the gorgeous Finger Lakes region. Park and walk to historic sites, shops, restaurants, and beautiful Canandaigua Lake. 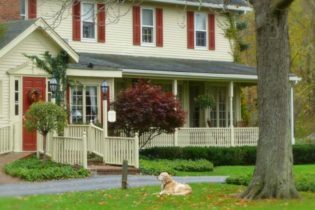 Escape to The Bed and Breakfast at Oliver Phelps, an elegant B&B in the heart of the Upstate New York wine country and the gorgeous Finger Lakes. Come and relax in one of Canandaigua’s premier 19th century historic homes just a short walk from downtown dining and shopping. The Oliver Phelps home features 12 foot ceilings, impressive archways, five working fireplaces, wide planked wood floors, off-street parking, free secure WiFi and plenty of guest space to relax. There are five comfortable guest rooms all with private en suite bathrooms. We’ve also added a Hydro Spa enclosed in a beautiful private gazebo with 42 jets to help you relax. 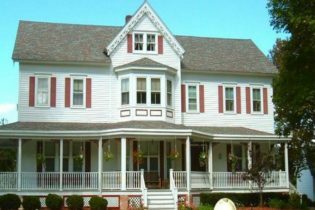 Bella Rose Bed and Breakfast is an elegant, beautifully restored 1895 Victorian home, located in the historic district of Canandaigua in Upstate NY Finger Lakes. Bella Rose Bed and Breakfast in Canandaigua, NY was originally built in 1895 by Saunders and Mead, reputable builders during the late 1800’s. We are walking distance from downtown where you’ll find several shops, restaurants and attractions. If the fresh air beckons, you can enjoy the sights and sounds of Canandaigua from our fully restored wrap around front porch. Our Victorian lady has been meticulously renovated back to it’s original character and splendor, but enhanced with comfortable and modern amenities. We offer three guest rooms each thoughtfully named after someone significant to the home’s history, and are uniquely decorated with the feel of the Victorian era. All rooms have private bath and have been transformed for the ultimate romantic experience. From the time you enter and take in the beauty of our home and the instant sense that “love is spoken here”, you know it will be special. 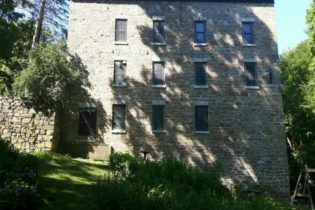 The Borland House Bed and Breakfast in Montgomery, NY is conveniently located in the heart of the historic village. From our porch, you can stroll to your choice of critically acclaimed restaurants or check out the antique shops, bicycle trails, and gift boutiques. Welcome to the Borland House bed & breakfast Inn located in Montgomery, NY. Montgomery, New York is located midway between New York City and the Catskill Mountains not far from Interstate 84 and 87. The original house was built in the 1790’s with the large Greek revival addition constructed by General Charles Borland, Jr. around 1830. Kick off your shoes, share a glass of wine, relax in one of our cozy reading nooks, browse in our antique shop, and sleep on Egyptian cotton before waking up to a sumptuous breakfast. Your home away from home on the majestic Hudson River - close to many Hudson Valley attractions. There are no strangers here, only friends we haven't met. Welcome to the Bricktown Inn bed and breakfast located in Haverstraw, NY and near prime destinations including the West Point Military Academy, Stony Point Battlefield, Bear Mountain State Park, Woodbury Commons Outlet Center, Hyde Park, the Palisades Center Mall, Cold Spring, Garrison and close to all that Rockland County has to offer. The inn offers four uniquely appointed guest rooms that provide a relaxing environment in a very comfortable setting. All rooms have their own baths with comfortable beds and offer room enough for friends or family traveling together. Wake in the morning to a delicious breakfast before exploring the area and its scenery, recreation and history. Burn Brae Mansion is a century-old Victorian estate rich in history and paranormal activity. A themed B&B well situated in the Catskill Mountains along the Upper Delaware River, Burn Brae is a unique destination for adventurers of all ages. A home-cooked dinner and full breakfast (with homemade bread and eggs from our own chickens) is included, as well as a guided tour of the mansion and the Attic of Curiosities. A suspenseful night awaits guests of the Burn Brae Mansion – this century-old Victorian home and its 20 acres of land have long been known for paranormal activity. The Burn Brae Mansion exudes the woodland charm of the Catskill Mountains, surrounded by lush open fields, streams, and walking trails. The home features elegant spiral staircases and quaint rooms with stained glass windows overlooking the landscaped front yard. A wonderful destination for group travel, the inn offers a unique experience for all ages and interests. The inn is home to an outdoor pool and volleyball court, and is near several area attractions, including the Monticello Casino and Raceway and the Bethel Woods Center for the Arts (located at the site of the 1969 Woodstock festival). Come relax at our award-winning Select Registry and Diamond Collection Hudson Valley Bed & Breakfast. We are in a prime location five minutes from the Storm King Art Center and the Brotherhood Winery, 15 minutes from West Point and Woodbury Common Premium Outlets, and 60 minutes from New York City by train or car. Whether you want to relax or see the sights, our three-course homemade breakfast will start your day off right! Come relax at our award-winning Hudson Valley Bed & Breakfast. We are in a prime location five minutes from the Storm King Art Center and the Brotherhood Winery, 15 minutes from West Point and Woodbury Common Premium Outlets, and 60 minutes from New York City by train or car. Whether you want to relax or see the sights, our three-course homemade breakfast will start your day off right! 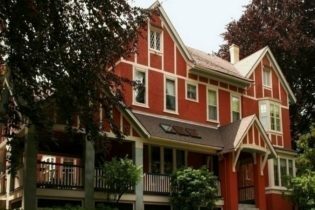 The Caldwell House Bed and Breakfast is a historic, romantic inn situated in the heart of New York State’s magnificent Hudson Valley. The fourteen guestrooms in the three beautifully restored Colonial homes all have private baths, many with jacuzzi tubs and/or fireplaces, and are tastefully furnished with quality linens, comfortable seating, king or queen sized beds, quality antiques coupled with all modern amenities that combine to create an elegant, yet cozy retreat. Breakfast is a celebration of the beginning of the day, and the sun-drenched dining room offers a bright start. The table is set with a mix of delectable baked goods that will tempt your palate. It will leave you looking forward to the mornings to come. 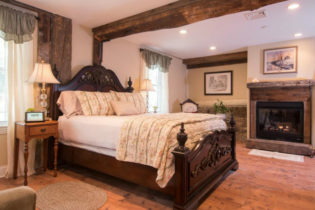 West Point, the great outdoors, historical sights, fine dining, and shopping are just a few of the activities you will find nearby, and your innkeepers Dena and John will be happy to provide you with a list of their favorite antique shops. We look forward to your visit! Come to the Cedar House on Sound B&B located in beautiful Mattituck, New York for an unforgettable Long Island and North Fork vacation getaway. Welcome to the Cedar House on Sound B&B located in Mattituck, NY near the Peconic Bay beach and all that Long Island’s North has to offer. This fresh and contemporary bed and breakfast is nestled in a beautiful rural setting that is tucked amongst acres of pristine countryside. The inn offers a relaxing environment in a very modern setting and boasts local art, polished hardwood floors, Tuscany-inspired furniture and fixtures and is home to the Scarola Vineyards. The guest rooms all have their own baths, comfortable beds and many other modern amenities to insure a relaxing stay. They are all uniquely decorated and some offer space enough for families or groups to travel together, private sitting areas and guest refrigerators. Complimentary wine tasting from the Scarola Vineyards is included for all guests as well as use of the expansive great room, dining room and the Vineyard lounge. The Cherry Creek Inn is a beautiful bed and breakfast on 31.5 acres of farmland located in Cherry Creek, New York. 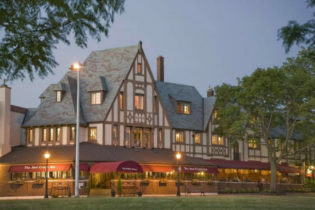 The historic inn features an English style pub room, 3,500 volume Victorian library, an exercise room and a pavilion with a hot tub surrounded by terraced gardens. Couples and families will enjoy this “sanctuary for all seasons” during a getaway to this upstate New York inn. This elegant 1860s Italian Villa has three bedrooms, each complete with a private bathroom, plus an additional 2 bedroom suite with a sitting room, private bathroom, and satellite television. Wireless Internet is available throughout Cherry Creek Inn, and a full delicious breakfast is available each morning paired with Ambrosia teas. 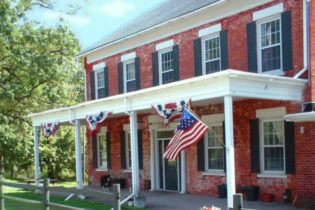 The Cherry Creek Inn is conveniently located to Amish tours, parks, museums, shopping, and Cockaigne Ski Area, as well as many other local attractions. This inn is the perfect retreat for guests looking for a quiet, peaceful atmosphere where they can enjoy rest and relaxation. The Dominion House is a tranquil Hudson Valley Bed and Breakfast located 60 miles north of New York City, 20 miles west of the U.S. Military Academy at West Point and 10 miles to the Storm King Art Center and Woodbury Common Premium Outlets. A hearty country breakfast will start your day off right, whether you choose activity around the area or relaxation in our warm and welcoming accommodations. This Hudson Valley Bed and Breakfast is perfect for romantic couples, business travelers, and even girlfriends’ getaways. For those who like a good book, we welcome you to choose from the large selection in our library. For business travelers, we have computer and fax access with high-speed wireless Internet access. In the summer months, feel free to take a dip in the pool for a refreshing swim. Play horseshoes in the cool of the evening or simply sit in a rocker and watch the sunset. In the main house, there are three large comfortable rooms in addition to the private Honeymoon Cottage. Furnished in 19th-century elegance with 21st-century comfort, rooms have marble top dressers and antique beds. All rooms have air conditioning and cable television. Luxury bathrobes are provided for our guests’ comfort and convenience. A swimming pool, slate top pool table, Jacuzzi, and library are available for your pleasure and relaxation. A large deck and wraparound porch are perfect for afternoon tea or summer breakfast. In the colder months, relax in our large parlor or by the fire in our oak-paneled den. Only 90 miles from New York City, ECCE is an award-winning bed & breakfast perched on a bluff 300 feet above the upper Delaware River in beautiful Barryville, New York. The newly renovated ECCE Bed & Breakfast is located in Barryville, NY, in the southwest Catskills region, and features panoramic views of the Delaware River valley and mountain ranges of New York and Pennsylvania. From the large outdoor decks, marvel at the breathtaking views and watch the wide variety of wildlife, including the American Bald Eagle. ECCE is situated on 60 acres of wooded private property to hike, paint, and photograph the wonders of nature. Savor a sumptuous gourmet breakfast while overlooking the river from one of our many outdoor decks or our breakfast room. Enjoy unique fare such as ECCE’s Classic “Eggs in the Clouds Benedict,” or our “Stuffed Baked French Toast” with cream cheese and seasonal fruits. ECCE is the perfect setting to celebrate those special occasions such as birthdays, anniversaries, and reunions. ECCE is also an excellent venue for hosting small executive retreats. Cozy "home away from home" accommodations in the village of Watkins Glen, just 1 1/2 blocks to the Watkins Glen State Park entrance and a short walk to dining, wine/beer tasting & Seneca Lake Pier. Echoes offers 5 comfortable guestrooms with a delicious homemade breakfast. 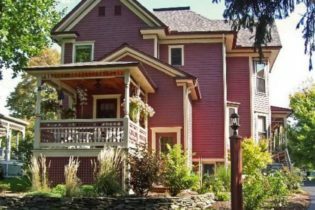 Echoes of the Glen Bed and Breakfast, your “Home Away From Home” is located in the heart of the village of Watkins Glen, NY and just one and a half blocks to the Watkins Glen State Park entrance. “Echoes”, as our regular guests call us, is a 1920 English Tudor style home. Surprisingly large on the inside with 5 cozy guest rooms all featuring private in suite bathrooms, queen sized beds, air conditioning – and most have TVs and some with DVD players. No shared bathrooms here! Breakfast is served in the dining room and sun room. Relax in our common living room area anytime and enjoy the warmth of the fireplace during cool weather or sit in the sun room to read a book or work on a puzzle. Wireless internet is available throughout the B&B. Come visit us soon! The historic Ellwanger Estate is located in the Mount Hope Cultural District of Rochester, New York. Home to world-renowned Horticulturist George Ellwanger and family for 115 years, the bed & breakfast has been recently restored. Four rooms with magnificent views of the lush gardens and courtyards, owned and maintained by the Landmark Society of Western New York. The historic Ellwanger Estate is located in the Mount Hope Cultural District of Rochester, New York. 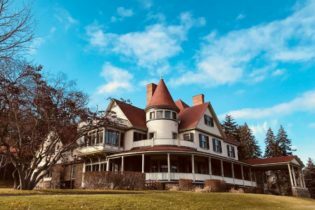 Home to world-renowned Horticulturist George Ellwanger and family for 115 years, the bed & breakfast has been recently restored. Four rooms with magnificent views of the lush gardens and courtyards, owned and maintained by the Landmark Society of Western New York. Enjoy the natural beauty of the Mount Hope and Highland Park Preservation area, along with the elegant ambience of the Ellwanger Estate. There are also many nearby attractions, including the Susan B. Anthony House, Strong National Museum of Play, Memorial Art Gallery, Rochester Museum of Science, Strasenburgh Planetarium, and much more. Our knowledgeable and friendly staff will be happy to assist you with planning visits to these attractions and making reservations at the many fine dining establishments in the area. Now Get Ready to Charge Your Batteries At The Ellwanger Estate B&B. The Ellwanger Estate Bed and Breakfast teams with Tesla Motors to become the area’s first lodging host to offer a Tesla Destination Charger for overnight guests. Tesla Destination Charging is now offered as a new amenity for overnight guests. This installation makes The Ellwanger Estate a new hot spot on the national electric vehicle map. We are a very green B&B, devoted to energy efficiency, conservation, reuse, recycling and a hypoallergenic guest environment. Tesla’s focus on pure electric technology seems a perfect fit. We offer a full complimentary charge to our Tesla overnight guests. Just enter “TESLA” under special accommodations, when you reserve your room online to let us know you would like to plug-in. This is an added amenity for our Tesla and Electric Vehicle guests, but you must let us know in advance to reserve parking for your charge. The Ellwanger Estate B&B is proud to offer just one more example of all our exceptional amenities, making this the ideal home-away for both leisure and business travelers. Fox Hill Bed and Breakfast in the Hudson Valley, is near New Paltz, Hyde Park, and 90 min from New York City. It is the ultimate NY location for hiking, biking, rock climbing in the Gunks, and Minnewaska, Mohonk Preserve. Ninety minutes from New York City in Highland NY, part of the Hudson Valley, Fox Hill Bed & Breakfast welcomes you with immaculate rooms and award winning hospitality. Come enjoy our spacious accommodations and delicious breakfasts. Near New Paltz & Hyde Park, we are centrally located for most Hudson Valley area attractions including: Mohonk, Minnewaska, and the “Gunks” for rock climbing, hiking, and biking. Winery tours & tasting, antiques, historical mansions, golf, shopping and outstanding restaurants are all nearby! Your spacious, tastefully decorated rooms are comfortable and welcoming. Enjoy uniquely entertaining books, board games or watch a movie from our collection. Guest room amenities include a whirlpool spa & fitness Center, heated pool, spacious sun deck, a fireplace, bird watching, a Koi Fish Pond along with lovely perennial gardens. The Hudson Valley is a year round destination, with activities for every season. 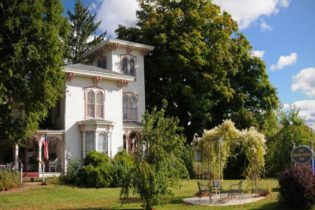 Escape to another century at The Grand Dutchess Bed & Breakfast and spend the night in Victorian elegance! Located in Northern Dutchess County, the inn is only 5 minutes from Bard College, Fisher Center for the Performing Arts, and Rhinebeck, New York. The Grand Dutchess boasts the perfect setting for your leisurely or romantic getaway, small meetings, corporate retreats, and other gatherings. 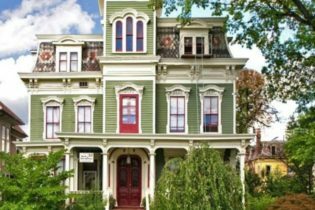 The Grand Dutchess Bed & Breakfast in Red Hook, New York is a gorgeous Victorian mansion that makes you feel welcome the moment you walk through the door. We offer warmth and congeniality that encourages interaction with a diverse group of fellow travelers and a clean, comfortable room at a reasonable price. And, to top it off, there will be a hearty delicious breakfast that will last you through an active day. This is our home. We’re proud of its beauty, and anxious to show it off. We want you to enjoy every aspect of our Inn – from the impressive formal parlors to the privacy of your elegant and charming bedroom – and every moment of your stay, whether diving into your “killer” (and we mean it) breakfast, relaxing in the afternoon on our two large porches, or exploring the endless array of Hudson Valley pleasures. If we can help with information, planning, or arranging, we’ll do it. We are determined to make your experience memorable. 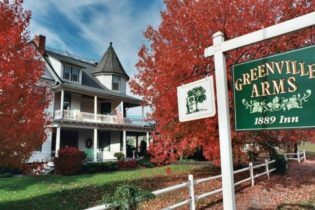 A lovely 1889 Queen Anne Victorian inn on 6 acres of lawns, shade trees, and gardens in Greenville, NY, in the heart of upstate New York's scenic Hudson Valley. Whether you come for a romantic getaway, or to visit the Catskill Mountain region and the historic Hudson Valley, an atmosphere of warmth and relaxed comfort awaits you. We offer a variety of accommodations - 16 rooms from small traditional rooms to cottage whirlpool rooms. Some rooms are pet-friendly - please inquire. Throughout the Greenville Arms 1889 Inn, antiques and Victorian details transport guests back to an earlier era, while original artwork expresses an appreciation for our region’s natural surroundings. Each of the inn’s 16 bedrooms is thoughtfully decorated, using a combination of well-loved antiques and comfortable furniture. All have private baths and air conditioning. Some have canopied beds, private porches, or sitting areas. 2 new rooms in a Victorian cottage feature fireplaces and whirlpool tubs. The common rooms are inviting places for conversation, games, or reading. Our large Carriage House Studio is also home to Hudson River Valley Art Workshops, an annual series of classes in painting and drawing. We also host art quilting workshops. Meals are a highlight of your stay at the Greenville Arms 1889 Inn, served in our romantic dining rooms. 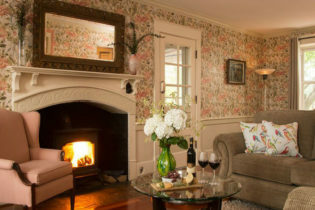 Brick-hearth fireplaces and the inn’s collection of original artwork create an ambience that is both elegant and easy. Delicious cuisine with an emphasis on freshness follows the seasons. Candlelight dinners are available by reservation. We are also home to Life By Chocolates, a gourmet chocolate shop. All of the chocolates are made at the inn with natural, local, or organic ingredients. We also feature a line of Vegan chocolates. Be sure to visit our website for complete information and online reservations! 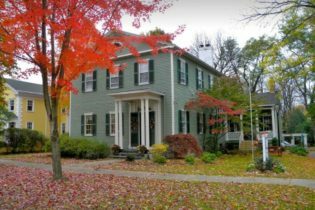 Hudson City Bed and Breakfast is an elegant Second Empire home in the charming town of Hudson, in Columbia County, New York. We offer a variety of fine accommodations, from standard, to deluxe, to super deluxe, all with private baths. Guests enjoy relaxing on our front porch and in our meditation garden after a day antiquing - Hudson is one of the largest antique centers on the East Coast. Other attractions include hiking, skiing, museums, opera, and art galleries. 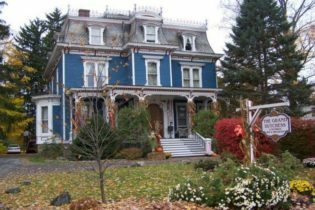 Hudson City Bed and Breakfast in Hudson, New York is a Victorian home conveniently located near several state parks, theaters, and American Castles. The Hudson area is now one of the largest antiquing centers on the East Coast. Our town is one of the best preserved representations of late-18th century and early 19th-century architecture. Many attractions are within walking distance. The Idlwilde Inn in Watkins Glen has been home to families and welcoming visitors to the tranquil Finger Lakes region for well over a century. The Inn is located at the southern tip of Seneca Lake, just a short walk from downtown Watkins Glen and close to both the Watkins Glen State Park and the Watkins Glen International Raceway. Idlwilde Inn is an 18-room Victorian mansion built in 1892 that sits on two and a half acres in a park-like setting with a great lawn and formal gardens. This charming house has a character given by exquisite craftsmanship of an earlier era, with a meticulously detailed staircase, moldings, ornamental ceilings, slate roof and eight decorative fireplaces. There are several sunrooms, a romantic turret room, a huge breezy wrap-around porch, enclosed gazebo, and carriage house all overlooking the beauty of Seneca Lake. The Inn boasts 15 well-appointed guest rooms. 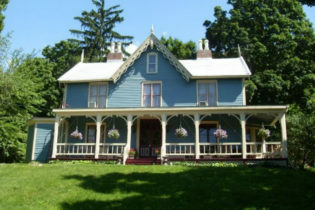 Victorian antiques and comfortable common areas make this Watkins Glen bed and breakfast an unforgettable experience for guests. Each room at our Seneca Lake bed and breakfast is unique, with its own charms. Two rooms are by the kitchen, three in the west wing off the second floor landing, four more on the second, and finally four rooms on the third floor. There are two rooms in the separate Carriage House. Like the hot water, the air is constantly circulated, whether the air conditioning is running or not. And if you are here when there’s a nip in the air, the steam radiators will keep you toasty. The Inn by the Mill is a romantic bed & breakfast in the foothills of the Adirondacks, halfway between Albany and Utica, near Herkimer and Cooperstown, New York. The lavish grounds feature a waterfall gorge and gardens blooming with an abundance of herbs and perennials. This peaceful woodland retreat is great for an enchanting getaway for couples or a private vacation for families. The historic Inn by the Mill offers a variety of charming accommodation options featuring comfortable bedding and antique furnishings. Choose from two private cottages with fully-stocked kitchens and game rooms, or stay in one of the cozy guest rooms or suites. Each morning enjoy a super-deluxe continental breakfast, and each evening enjoy complimentary gourmet desserts at the on-site Emporium & Ice Cream Billiard Parlor museum. The Inn by the Mill is located near lots of outdoor activities and historic attractions, including the Baseball Hall of Fame in Cooperstown, Herkimer Diamond Mines, and the Saratoga Race Track. 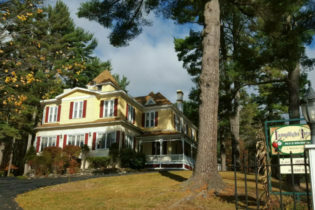 In Lake Luzerne, NY, halfway between Lake George and Saratoga Springs, you'll find The Lamplight Inn Bed and Breakfast. This 1890 Victorian Inn offers the warmth and charm of a bygone era, complete with all the modern amenities discriminating travelers have come to appreciate. 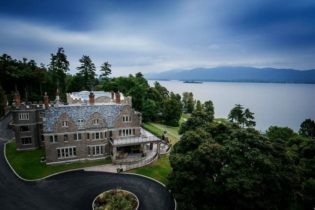 Lake Luzerne, New York, is home to the Lamplight Inn, a romantic and relaxing southern Adirondack, Lake George and Saratoga Springs area Inn, set on 10 private acres. 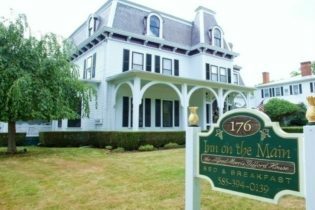 This delightful Bed & Breakfast consists of the inn, the original caretaker’s house (Brookside Cottage), and the Carriage House. Room choices range from quaint bedrooms with original mantels, tiles and woodwork to large spacious suites with Jacuzzi tubs, color television and remote-controlled gas fireplaces. A hearty and memorable breakfast is served each morning in the spacious and sunny dining room at the main Inn. When you aren’t relaxing at the bed and breakfast, there are plenty of year-round activities for you to enjoy. During the summer you can swim at the beach – conveniently located one block from the Inn. In the winter, enjoy nearby downhill skiing, snowmobiling and cross-country skiing. And in autumn, nature takes center stage as fall foliage paints the landscape in crisp, bright colors. 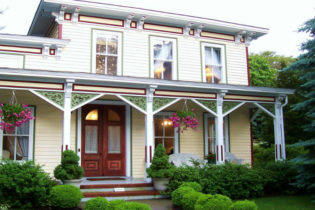 The Landmark Inn is an elegant bed & breakfast located in historic Cooperstown, New York. Our 1856 inn has been restored to its original beauty while offering boutique hotel amenities. We offer 11 romantic rooms & suites, all with private baths. Wake up each morning to the heavenly scent of our signature coffee and breakfast that can be enjoyed in various parts of the inn. We are just a quick stroll from the Baseball Hall of Fame. Each of our 11 rooms & suites offers unique decor and a warm atmosphere with comfortable beds, feather duvets, and private baths, some of which feature dream showers and Jacuzzis. Each morning you’ll awake to the calming aroma of our signature coffee and bountiful breakfast presented at your private table in our dining room. Whether you are here for baseball, opera, or a history lesson, your visit to the Landmark Inn will have you centrally located to many of the town’s attractions, including the Baseball Hall of Fame – just minutes away. Experience the best hospitality in Cooperstown at The Landmark Inn ~ we look forward to seeing you! Moonshadow Bed and Breakfast is located on the Fingerlakes wine trail overlooking beautiful Keuka Lake. 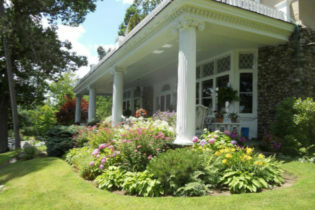 Welcome to the Moonshadow Bed & Breakfast located in the beautiful Finger Lakes, region of Central New York State. We like to say we are a unique bed and breakfast, and not for just the lack of doilies and antiques. Our furnishings, linens, and decor are light and airy and reflect a contemporary style. The BnB can be found on the Wine Trail on the west hillside of Keuka Lake. It’s just simple here and we hope you feel at ease when you arrive and throughout your stay. Views of the lake from all of our windows in this contemporary decor graces our guest rooms. We serve a gourmet breakfast daily. Welcome to the Red Fox Run. We are home to the Lorenzo Mansion, The Brewster Inn, The Lincklaen House and The Brae Loch Inn. Located nearby are hiking and biking trails, golf, downhill skiing, skating and apple-pumpkin-craft farms offering local produce. The Red Fox Run Bed & Breakfast is a rustic 1854 circa property offering one large Farmhouse Suite with a full kitchen, living room, bedroom, bath and laundry room. It has a private deck as well as a separate entrance and driveway from the main house … about 800 square feet of living space. 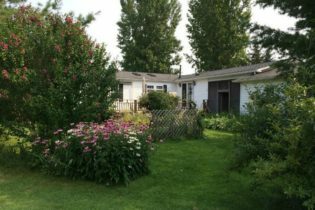 This peaceful hobby farm sits on seven acres scattered with age-old maple trees, trumpet vine, and colorful gardens. Entry into the suite is on the lower level close to the parking area. Near the entrance you will find a laundry room and exercise bike. Take one flight up the stairs to a newly renovated kitchen with living area and comfortable decor. It features 1 Queen Bed and also has a clean and updated bathroom. Outside is a private deck overlooking the farmyard with coffee table and loveseat. We have a large screen AppleTV for viewing movies, playing games or searching YouTube news and videos. Our farm is located less than 2 miles from the Village Center of Cazenovia. This quaint college town sits beside Cazenovia Lake with spectacular bass fishing, sailing, boating, and swimming. We have some of the finest and award-winning restaurants in New York State. We are home to the Lorenzo Mansion, The Brewster Inn, The Lincklaen House and The Brae Loch Inn. Located nearby are hiking and biking trails, golf, skiing, skating and apple-pumpkin-craft farms offering local produce. Highland Forest features scenic views, wooded nature trails, snowshoeing and sledding in the winter months too! Come and visit New York! Discover its strength and vitality at Regina’s New York Bed & Breakfast featuring affordable rooms in a most charming European-style brownstone house. Your European-born host speaks French, German, Spanish, Czech and naturally English. New York has been my home for more than 20 years and I love the city more than ever! Dekalb Market Hall at City Point on Albee Square is one of the major attractions near the bed and breakfast. Your host is always there to assist you during your stay and knows “all” the bookstores…and you can know them too. Whatever your needs in New York may be, your host has the answer and can provide you with lots of travel-tips which you won’t find in any guide. My home is your home during your stay in the Big Apple. We have a single room and double rooms to choose from. Our spacious guest rooms are bright and filled with antique decor. A complimentary breakfast is served in the antique-filled dining room Monday through Friday. We look forward to your visit!! 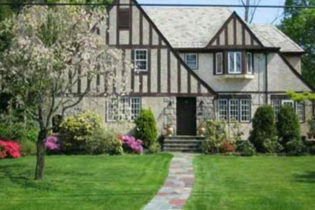 Located in a safe and beautiful neighborhood in New Rochelle, this English Tudor bed and breakfast is only a thirty-minute train ride from Manhattan. Lisbeth Appel, your host, welcomes you and has great tips on exploring the area. A full, self-serve continental breakfast is available in the dining room. For reservations, please email at rosehillbedandbreakfast@gmail.com, and if needing an immediate reply, please text Lisbeth at (646) 319-7171. Chosen as one of the "best undiscovered B&Bs in America".Located on the northern end of Lake George, this beautiful B&B has tons to do in the area and plenty luxurious amenities to enjoy! Seasons B&B has been voted one of the Top 15 B&B's in the "Best Customer Service" category in Arrington's Bed & Breakfast Journal's 2005 Book of Lists! Welcome to Ruah Bed & Breakfast, a beautiful inn that received six pages in the March 1996 issue of “House Beautiful” magazine, and was also featured in the September 1996 issue of “Forbes FYI”. Ruah is located on the northern end of Lake George where the simple pleasures are paramount. It is owned and operated by Judy and Peter Foster. Peter is a landscape architect and the spectacular gardens reflect his passion and talent. Judy is a floral designer and her touch is evident throughout the elegant home. We look forward to your visit! 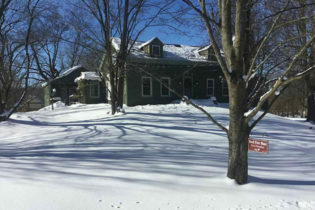 Escape to quiet comfort in this ideally located, warm and inviting 1890's Hudson Valley. Stonegate Bed & Breakfast is located in Highland, NY and nearby a variety of Hudson River Valley attractions including famous estates, museums and art galleries. We have four rooms to choose from, each complemented with a full, hearty breakfast. We have plenty of activities year round ranging from antiquing and golfing to winery tours, apple, berry and pumpkin picking. 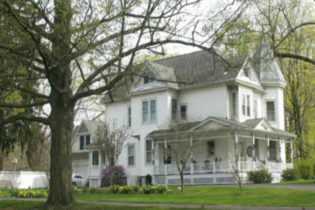 Stonegate Bed & Breakfast is situated in Highland, NY. We are conveniently located near to the many wonderful, historic attractions and sites of the Hudson River Valley. Relax in our quiet and comfort rooms at this inviting historic home after an unforgettable day of exploring local attractions including the Vanderbilt and Roosevelt Estates, museums, art centers and the Culinary Institute of America. Pick from any of our four room accommodations for a peaceful night’s slumber. No matter the time of year there are plenty of things to do ranging from antiquing and golfing to winery tours, apple, berry and pumpkin picking. Sutherland House is located in the Finger Lakes Region of Central New York, in Canandaigua. The beautiful 1885 Second Empire Victorian Bed and Breakfast offers five guest rooms, with private bathrooms, chandeliers, whirlpool tubs, fireplaces, a gourmet breakfast, and more! 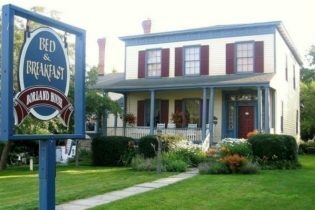 Just one and a half miles from the north end of Canandaigua Lake, in the heart of the beautiful Finger Lakes Region of Central New York, innkeepers Robert & Donafaye St. John welcome you to this beautiful 1885 Victorian bed & breakfast inn. Tranquility abounds over the five acres of our Finger Lakes Bed and Breakfast. Each of our five romantic guest rooms/suites have been decorated and furnished in a way that allows you to feel comfortable and relaxed. A full three course gourmet breakfast is served daily with fresh baked goods, fresh fruits, breakfast meats and gourmet entrees. Enjoy our elegant yet comfortable Victorian Parlor a delightful setting to enjoy conversation, play a board game, read a book, or simply enjoy the cozy fire and refreshments. Our magnificent 300 year old copper beech tree provides a canopy over several porches and patios, and are wonderful places to spend time either alone or meeting other guests and making new friends. Complimentary hot and cold beverages, bottled water and snacks are available at all times. Each season brings something special to the area. Year round events and festivals, wineries, breweries, museums, antiquing, shopping, casinos – the region is a place to enjoy in all seasons. At Canandaigua Lake, there is a sandy beach, beach house and snack shop in Kershaw Park where you can sunbath, and swim. Or, visit Onanda Park beach, just minutes away, where you can swim, take a picnic lunch, or hike through the trails. Launch your own boat on the lake (we have space for a few small boats to park on our property) or there are a number of marinas that rent boats by the hour, half day or whole day. The area is a great area to cycle, and we have a secure area for bike and sporting equipment storage for guests. There are three nearby golf courses. Winter brings skiing, snowshoeing, ice fishing and winter festivals. Wine and beer tours are offered year round. The closest airport, Rochester International is 35 minutes west. We’re just 30 minutes to Rochester, 90 minutes to Corning, 90 minutes to Buffalo, 3 hours to Albany and 5 hours to NYC…so come and visit us soon! At Sutherland House, you will find exceptional hospitality and attention to detail, for an unforgettable stay. If there is anything we can do to make your visit with us more enjoyable, please don’t hesitate to call upon us. The Baker House 1650 - an exceptional destination in East Hampton, New York. The English Manor-style house is a masterpiece of 17th-century Cotswold architecture, possessing a majestic aura while providing guests modern accommodations and conveniences. Our 5 spectacular guestrooms are spacious and elegant, all with private baths. Our 2 Carriage House suites provide even more luxury. Guests enjoy our on-site spa with its endless swimming pool, steam shower, sauna, and Jacuzzi. The Baker House 1650 (formerly the J. Harper Poor Cottage) has been magnificently refurbished to offer exceptional accommodations in East Hampton, New York. The B&B has been recognized as “Inn of the Month” by Travel and Leisure magazine, and Town and Country said the cottage “offers the kind of plush accommodations that you’d expect to find in an area famous for its residential real estate.” Guests can be picked up from the nearby Hampton Jitney/Luxury Liner stop, the East Hampton train station, or the East Hampton Airport (a 10 minute drive). The Baker House also offers private helicopter service to and from Manhattan (40 minutes) for those who wish to avoid the summer traffic. Each morning begins with a sumptuous breakfast served in the garden-side breakfast room, in the garden itself, or continental breakfast in your own room, delivered with your choice of morning paper. Local organic produce and farm products are used wherever possible. There are outside tables for eating, reading, or lounging, and drinks are served from a well-stocked bar including a selection of wines by the glass, bottle, and half-bottle. Single malt scotch, small-batch bourbon, champagnes, and cognacs are also available. For business meetings or family gatherings, the inn has a luxurious living room with a large fireplace. There is also a dining room with a fireplace and a well-stocked library with books, magazines, and DVDs, which can be borrowed for in-room viewing. The Bell House Inn is a boutique Glens Falls Bed and Breakfast offering 5 chic, luxurious guest rooms. We are an inviting alternative to the area hotels, offering our guests a memorable stay. Our immaculate guest rooms are elegantly appointed giving the feel of old romance inter-mixed with all the comforts of home. A 10 minute walk from Downtown Glens Falls a fast growing city in the Southern Adirondack Mountains. Downtown offers a large selection of restaurants and eateries, art and entertainment, shopping, sports, parks and nightlife. An easy drive to Saratoga Springs and Lake George Village. Our philosophy is simple: Treat our guests as friends. Provide clean and comfortable accommodations, serve great vegan food and be as helpful as possible. 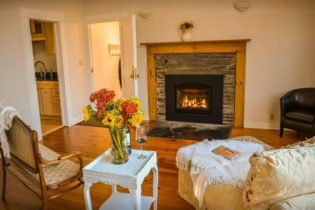 Welcome to the Ginger Cat Bed and Breakfast, a two-bedroom home nestled upon 15 acres in the town of Reading, New York, just a few miles northwest of Watkins Glen, NY. Voted as the favorite Vegetarian B&B in 2009 by the readers of VegNews Magazine, it is the perfect place to stay during a vacation to the Finger Lakes area. At the Ginger Cat B&B, we treat our guests as our friends and provide a cozy, clean atmosphere. We welcome families (kids 4 years and older) and one room is pet-friendly. A vegan breakfast is served every weekday morning and a huge vegan brunch is served on Saturday through Monday. We are also able to accommodate most dietary requirements including gluten-free. While visiting, be sure to take a walk through the woods surrounding the house and gardens and relax on our large deck. Star-gazing is guaranteed to please as the Milky Way is directly overhead! 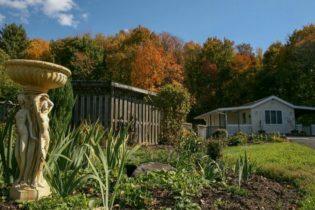 The Ginger Cat Bed and Breakfast is located less than 15 minutes from Farm Sanctuary, Watkins Glen State Park and the Seneca Lake Wine Trail. Within 45 minutes are the towns of Corning and Ithaca. We have resident cats to love each guest and accommodate their feline needs but the cats are not allowed in the guest quarters to reduce any chances of allergic reactions. Come stay at the Ginger Cat Bed and Breakfast and experience hospitality and grace in our cozy country home! Experience comfortable elegance and hospitality with a stay at The Harbor Rose. The Harbor Rose is a home where history and modern living peacefully coexist. Enjoy great attention to details including luxury linens and high quality purified alkaline water. Start the day with our farm-to-table organic handcrafted breakfast and over the years our eatable landscape continues to expand. Our guests feel rejuvenated and often wish they had planned a longer stay. Check in as a guest and check our as new friends. Year over year those relationships build so if feels more like visiting your second home and extended family. We are ambassadors to our amazing waterfront community Located in Historic Cold Spring Harbor – Huntington Long Island and hosts guests from all over the world. Enjoy all the comforts of home with Water Views, Restorative & Detox Healing Services, Organic Farm to Table Breakfast, Luxury Linens & Amenities, Hiking trails, perfect for Corporate Retreat & Family Friendly. The Inn at Erlowest offers inspired cuisine, elegant lodging, and captivating views of the Adirondack Mountains in Lake George, New York. We offer 10 luxurious suites featuring lush bedding and beautiful antiques. Each room has a king size bed, private bathroom, and fireplace. Breakfast is served each morning and features unique, delicious recipes created by our onsite chefs. Please inquire about weddings - we have multiple dining areas that can hold up to 250 guests. The Inn at Erlowest is a bed & breakfast with majestic views of the lake and mountains in Lake George, New York. We offer an unparalleled luxurious setting in the Adirondacks. There’s plenty of space for peace and quiet as we have four intimate dining rooms and a banquet facility for special events that can hold up to 250 guests. All our dining rooms can be separated for private dinners and functions. Our staff look forward to meeting you and providing excellent service! 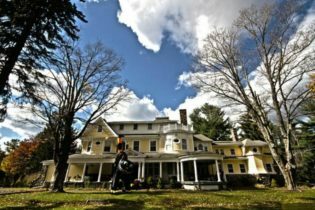 The Inn at Green River is an upscale bed & breakfast in Hillsdale, New York, in the foothills of the Berkshires. Guests love our inn's casual elegance and romantic setting in the tranquil Hudson River Valley. Our 1830 Federal-style farmhouse features 7 charming accommodations with private baths, some with soaking tubs or whirlpools. Local attractions include Tanglewood (summer home of the Boston Symphony), Jacob's Pillow, the Norman Rockwell Museum, and so much more! 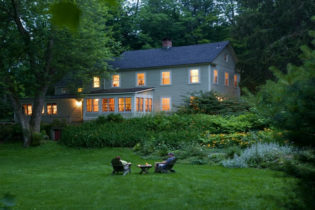 Shaded by ancient sugar maples and overlooking beautiful gardens, the Inn at Green River – now in its 29th year – is located in the Hudson River Valley, in the foothills of the Berkshires. The inn a perfect home base for a wide variety of cultural activities, including Tanglewood (the summer home of the Boston Symphony), Jacob’s Pillow, Shakespeare & Co., Barrington Stage Company, Berkshire Theater Festival and museums and historic sites such as the Norman Rockwell Museum, Hancock Shaker Village, Mass MoCA, the Clarke Art Institute, Olana, Naumkeag, and Clermont. This upscale Hudson Valley bed & breakfast offers seven romantic guest rooms, some with fireplaces, deep-soaking tubs, two-person showers or whirlpool tubs. New and return guests are always greeted with warm hospitality and scrumptious breakfasts. Bounded by two rivers, the Housatonic and the Hudson, the area is known for its magnificent countryside, with numerous parks, biking and hiking trails, lakes, and streams. Tour nearby vineyards, visit farmstands, pick apples in the many orchards in the fall, and at the end of the day, enjoy a fabulous dinner at one of many excellent restaurants which showcase local produce. Welcome to the Red Coach Inn, overlooking Niagara's spectacular Upper Rapids, and close enough to the Niagara Falls that you can hear the roar! The Red Coach is modeled on a traditional English country inn, and boasts an elegant Tudor-style exterior and a warm ambience. The inn and our on-site restaurant are both rated Three Diamonds by AAA. We offer a variety of accommodations - guest rooms, and one & two-bedroom suites - all with private Jacuzzi baths. Please inquire about weddings. We are located just 1500 feet from the American Falls, and right across the street from the Cave of the Winds on Goat Island and the Maid of the Mist at Prospect Point State Park. Other local attractions include the Aquarium of Niagara, Niagara Reservation State Park, Niagara Gorge Discovery Center, Devil’s Hole State Park and more! The Red Coach Inn historic bed and breakfast hotel offers two-bedroom suites, one-bedroom suites, and guest rooms for Niagara Falls lodging, each uniquely decorated with period antiques and reproductions. Enjoy a romantic Niagara Falls getaway or spend your honeymoon in one our suites overlooking the thundering rapids. Most have fireplaces, kitchens, and canopy beds. All accommodations are air conditioned with private full bath, whirlpool tub, telephone with voicemail and free long distance, free wireless Internet, television, coffeemaker, luxurious terrycloth robes, Bose stereo, hair dryer, and Gilchrist & Soames amenities from England. The Swann Inn of Beacon offers 3 romantic rooms and 2 luxurious suites, all with private baths, just five minutes from Main Street in the charming town of Beacon, New York. Join us for a romantic getaway, family reunion, or West Point graduation. Located at the base of Mt. Beacon, NY, and just a short walk to Scenic Hudson's Mt. Beacon Park, the Swann Inn is a perfect location for travelers and hikers visiting the Mid-Hudson Valley. Perfectly situated at the foot of Mt. Beacon, The Swann Inn of Beacon invites you to relax in one of our romantic guestrooms or suites. Only an hour and 20 minute train ride away from Grand Central station in New York City, get away from the hustle and bustle and experience the beautiful Mid-Hudson Valley. Enjoy the peace and quiet from our relaxing front porch, take an afternoon hike in the park, visit the DIA Center, take a Bannerman Castle tour, and dine in one of Beacon’s excellent restaurants. The Swann Inn of Beacon is five minutes to downtown Beacon and seven minutes to the Beacon Metro North Train Station. Located in the heart of downtown Ithaca, The William Henry Miller Inn was designed and built by Cornell's first architecture student. Tiffany stained glass, recessed shutters, hidden drawers and chestnut woodwork abound providing this comfortably elegant inn with a grand personality. Just ten blocks from Cornell University and right in the heart of downtown Ithaca, the award winning William Henry Miller Inn is a wonderful example of beautiful and comfortable. It is rich in architectural detail with stained glass windows, American chestnut woodwork, working fireplaces, seven spacious bedrooms, and large common areas. The Carriage House, located directly behind the inn, provides additional accommodations in a setting that is both private and luxurious. Our Guest Rooms each have their own personality. Each has a private bath, three with Jacuzzis, cable with flat screen televisions, telephone, air conditioning; hand ironed sheets, hair dryer, and CD player. Guest parking (complimentary of course) is located right next to the Inn. Guest rooms and common rooms in the main house and Carriage House offer wireless high speed internet access. Food is a huge part of what we do! All breads, English Muffins and bagels are homemade and accompany our full breakfasts. Each evening guests find a selection of homemade desserts on the sideboard. More often than not, guests will enter the Inn and comment, “sure smells good in here”. Owner, Lynnette Scofield is proud to be one of The Eight Broads in the Kitchen! ust a short easy walk away is the Village Green and Woodstock’s shopping, dining, and galleries. We are a delightful Hudson Valley inn with a romantic bed and breakfast ambience with rates starting at just $169. Our 18 private rooms and studios are tasteful and quiet with top-of-the-line beds and decor and free wi-fi. Enjoy a delicious, bountiful continental breakfast inside our sunny lobby or eat streamside on the terrace of our Catskills Bed & Breakfast. Come experience the charm of a 200 year old, country inn, situated in the beautiful Finger Lakes Wine Region of NY State. Step back to an earlier age. To a time that saw the conclusion of the American Revolution. Our inn was built in approximately 1796 and began servicing the stage coach run (along what is now Route 96) in 1819. We have four, fully appointed guest suites and we invite you to come and spend the night with us. Located just 1/2 mile east of Phelps, seven miles north of Geneva, and we are midway between Rochester and Syracuse NY. We have two family suites that sleep up to 6 people comfortably. The Bolero Room is carefully appointed for a romantic getaway for two. Guests are invited to spend time in the spacious common areas and enjoy our deck. All of our rooms are on the first floor, with no stairs between the complimentary parking and your room. While the inn is over 200 years old, the amenities are up to date with wireless internet and satellite TV with HBO. Find Historic Saratoga at Union Gables Mansion Inn, three blocks to Downtown Saratoga, and two blocks to the Saratoga Racetrack. All rooms with private bathrooms and fireplaces, heated outdoor pool, wraparound porch, and acre of gardens. Breakfast cooked to order daily. 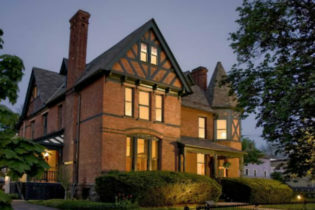 Union Gables Victorian Mansion Inn is located in the heart of Saratoga Springs, New York. Find luxury of a Saratoga Springs hotel with comforts of a bed and breakfast. Voted “Best of the Saratoga Region” by Saratoga Today five years in a row (2012-2016) and recipient of the TripAdvisor Certificate of Excellence (2013-2016). Our spacious and elegant guest rooms all have private bathrooms, fireplaces, and period antique furnishings alongside modern conveniences like forty inch flat-screen televisions and complimentary Wireless internet. We also have suites with kitchens or private patios. Enjoy the heated outdoor pool surrounded by an acre of perennial gardens, and the quiet haven of the classic Saratoga wraparound porch. Breakfast is complimentary and cooked fresh to order by our Chef every morning. Union Gables is located in the heart of Saratoga Springs Historic District, two blocks from the Saratoga Race Course, and two blocks from Historic Congress Park in Downtown Saratoga Springs. Union Gables is 30 minutes from Albany International Airport, and 30 minutes to Lake George in the foothills of the Adirondack Mountains which offer diverse opportunities for outdoor recreation.